A journey to discover the famous festival, through unpublished archival documents and paintings of the Querini Stampalia collection. 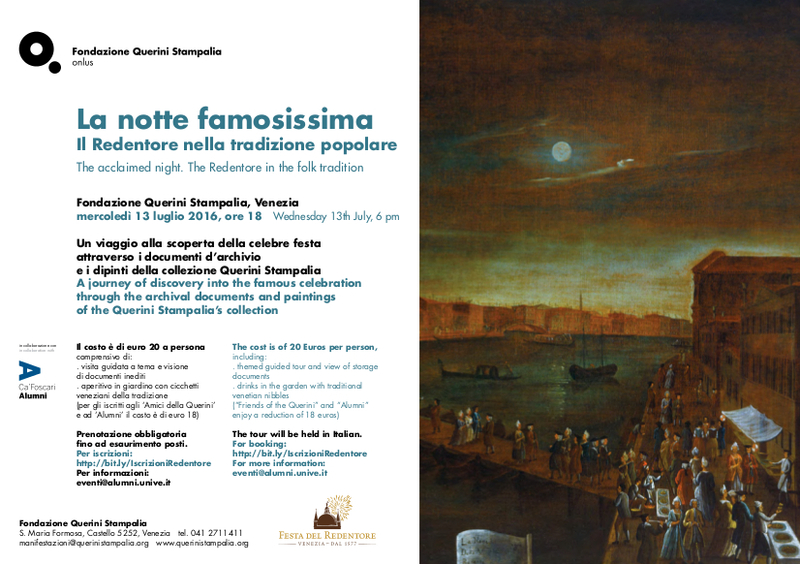 The appointment is in the Foundation for Wednesday, July 13th, at 6.00 pm, with "La notte famosissima. Il Redentore nella tradizione popolare".